Each week, shareholders receive a box with a variety of the best crops on the farm. The vegetables are harvested the day of or the day before delivery to ensure maximum flavor, freshness, and nutrition. We keep members informed about the farm with notes from the field, upcoming crops, and often include our favorite recipes. Our Community Supported Agriculture (CSA) program is a partnership between our local farm and nearby residents. 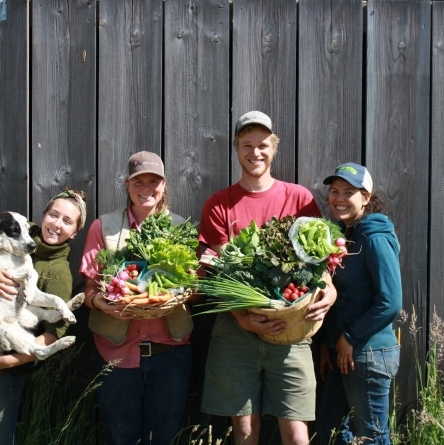 CSA members join by buying a "share" in the farm in the early spring. This provides upfront money allowing us to purchase seeds and get the season started without having to take out loans. You can feel confident that your food dollars are investing not only in your health but in directly supporting small-scale, environmentally, responsible agriculture. Your produce box is delivered weekly to a pick up point near you (Rochester, Olympia, Centralia, and several locations in Portland). 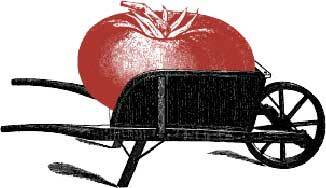 Produce deliveries run from mid-June through mid-November 22 weeks total. If you are away on a delivery date, simply arrange for a friend or neighbor to pick up and/or use your produce, contact us to place a vacation hold, or we can donate your box to a local family.